Posted by Editor at 10:12 PM . 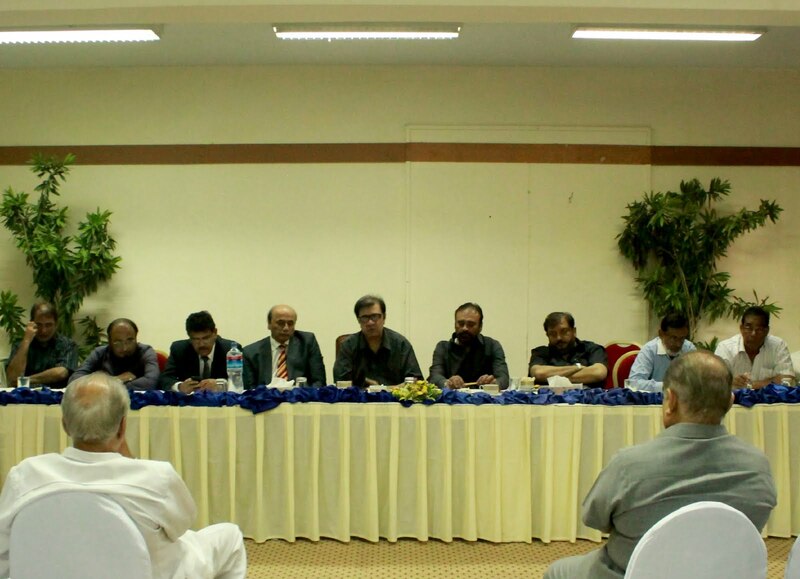 The Pakistan Billiards & Snooker Association (PBSA) has become an entity of the past by having it renamed as the Pakistan Billiards & Snooker Association (PBSF) through a constitutional amendment passed in the Extraordinary General Meeting (EGM) held at Hotel Beach Luxury in Karachi on December 12. The change in title of body didn’t mean changing traditions as they continued getting its officials elected unopposed and the whole lot, which was ruling for the past four years, was given an extension of four more years in the 32nd Annual General Meeting (AGM) which followed the EGM. There were hopes of real elections taking place for the first time since the cue sports body was founded originally by the name of the Billiards Association of Pakistan (BAP) in 1958 but it didn’t happen following the unending meetings with the challengers withdrawing their names at the eleventh hour to pave the way for a walkover to the incumbent office-bearers. 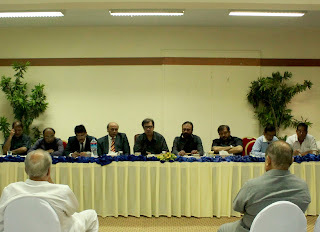 As a result of the compromise Alamgir Anwar Shaikh (President), Abdul Wahid Qadir (Senior Vice President) Jawed H. Karim (Vice President), Munawwar Hussain Shaikh (Honorary Secretary) and Amir Abbas Poonawala, (Honorary Treasurer) were re-elected to their respective posts while Abdul Khalil Bachani, Abbas Saifuddin Valika, Abdul Rashid Lehra, Dr Amin Delawalla, M Amin Bawany, Nisar Ali Bhagat and Shabbir Hussain Daruwala were elected as members of the Executive Committee. The sitting office-bearers of the newly created federation have accomplished their cherished dream of getting a term of four years now but it remains to be seen if they would be able to weather the storm that seems in the air.